Steven Johnson, the author of Everything Bad Is Good for You, talks to Andrew Anthony about his new book, and why decision-making is a creative process. Steven Johnson is a popular science author of 11 books, including the bestseller Everything Bad Is Good for You. Now 50, he divides his time between California and New York, the decision of where to live being at the heart of his latest book, Farsighted: How We Make the Decisions That Matter the Most. It focuses on long-term and complex decision-making - both political and personal. Q What made you decide to write about decision-making? It had the longest incubation period of any of my books, which is maybe appropriate for a book that's about long-term decision-making. I first started taking notes on it eight years ago. There had been a lot of books about decisions, but they were almost all focused on short-term instinctive Blink-like decisions. I love those books, but it did seem odd that I'd spent so much time looking at short-term decisions when the decisions that really end up shaping your life require deliberation and foresight and all of these properties that I felt were being unappreciated. Then I stumbled across Darwin's notebooks in which he has this two-page pros and cons list, trying to decide whether to get married. It's the same technique most people learn to this day, which meant that on some level the science of decision-making has been stagnant for 170 years. At the same time, I became obsessed with moving from New York to California. Those two things together made me think that it would be interesting to write about complex decisions and how we make them. 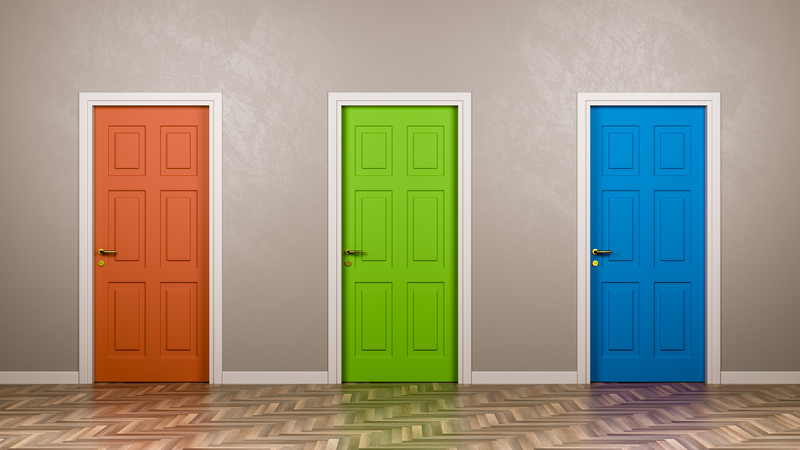 Q Are the decisions that matter most personal or global? Is there a difference in approach between them? There are enough similarities between the techniques or mindset we need for making personal and global decisions that it is useful to examine both in the same book. But personal decisions - whether you should get married, for example - are made from a position of ignorance; on some level it's unknowable. This book is not about how to be 100% right with your decisions - it's just that you will get better outcomes if you take time to go through the process that I talk about. Q As there is no control group for this alternative "us", how can we know that deliberation will produce better results? There are a couple of different ways to answer that question. The first is we do have some science looking at real-world decisions - for instance, there's interesting research involving mock juries. You can see how people deliberated and whether they made the correct assessment. But I also think there's this really important process of storytelling, which is a kind of simulation, that's part of those more personal decisions. That's why a lot of this book is about reading. Experiencing these simulated lives is practice for our own. It trains us to be better at making decisions. Q Diverse groups tend to make more nuanced and original decisions than homogeneous ones do. I'm not sure people read novels in that way or, indeed, lead their emotional lives in sober deliberation ... Well, the other side of simulation, which is really interesting, is the mental simulations we do imagining future outcomes. There's an incredible set of brain studies from the 1990s and early 2000s, in the early days of MRIs and Pet scans, looking at what parts of the brain lit up when people did specific tasks, such as multiplication or remembering faces. To have a control group, they also asked people to think about nothing. They discovered that when people were trying to think of nothing, certain regions of their brains were still active. This became known as the "default network'', which is what lights up when people are daydreaming basically, mind-wandering. What people are doing then is spending a huge amount of time running simulations of future events based on the recent past. "What will happen next week if I go in and ask for that raise? '', "Should I break up with that person? How would I feel?'' It uses up a huge amount of energy, literal energy in the brain, to do it. Some people now think that the ability to imagine alternative futures is one of our signature traits as a species. It's like the brain's internal version of reading novels. Q You also look at what we can learn about long-term decision-making from the killing of Osama bin Laden. First, it's a good reminder of what a structured decision process looks like in a functional administration. I think that we tend to celebrate the results of good decisions, but not the decision process itself, which is the thing we can actually learn from. They consciously divided the process into "divergent'' and "convergent'' stages - the divergent stage is brainstorming. Then they challenged their assumptions, to test for confirmation bias and overconfidence. They did a premortem - where you imagine all the reasons why, in the future, the decision turns out to have been a terrible mistake. So with Bin Laden, once they decided that they were going to do a helicopter raid through Pakistani airspace without telling the Pakistani government, they anticipated that they might block US supply routes to Afghanistan. Six weeks before the raid, the US opened up a different supply route. That's the kind of thing we should be celebrating. We should be looking for leaders who are capable of thinking this way. Q You emphasise the importance of diversity in decision-making. What's its significance? We celebrate diversity in terms of social tolerance, equality of opportunity, or the idea that groups are now represented in a way that they weren't before - but there's another part we should remember, which is that a more diverse Congress will make better decisions. Diverse groups tend to make more nuanced and more original decisions than homogeneous ones do. So, it's not just that we want more women in Congress, it's also that we want them there because the group will be collectively smarter. Q We're at a strange point in history, in which technology makes us more impatient for speedy responses, yet enables us to model long-term forecasts. Is there a battle between two opposing visions of life? Yes, but they do converge. Every time you go into a supermarket and buy something environmentally sustainable you're making a quick consumer decision, but that decision is being shaped by a vision of the next 50 years of climate change, and the need to stabilise the amount of carbon in the atmosphere. No-one was shopping for food like that 50 years ago. It's a cause for optimism, and suggests that this kind of thinking can be taught - the techniques I talk about in the book should be taught in schools. Q Do you really expect people to break down their personal decision-making into the dry concepts of marginal utility, availability heuristic and full-spectrum analysis? I feel as if half of this book is romantic on some level. That's the daydreaming and mind-wandering and reading side of it. And when you hit those really big life decisions, it's not so much about building a marginal utilities spreadsheet, but about imagining alternatives. And that's a creative process.